Get ready to make that bucket list smaller… Prepare for magic, adventure, and altitude as you get the opportunity to backpack through majestic Yosemite Valley and end up peaking the iconic Half Dome! This 4 day, 3 night adventure will take you through the beautiful backcountry of Yosemite to reconnect you back to nature like never before. This is a strenuous level backpacking trip that won't disappoint. It will challenge your physical abilities, and elevate your backpacking and hiking game to the next level! 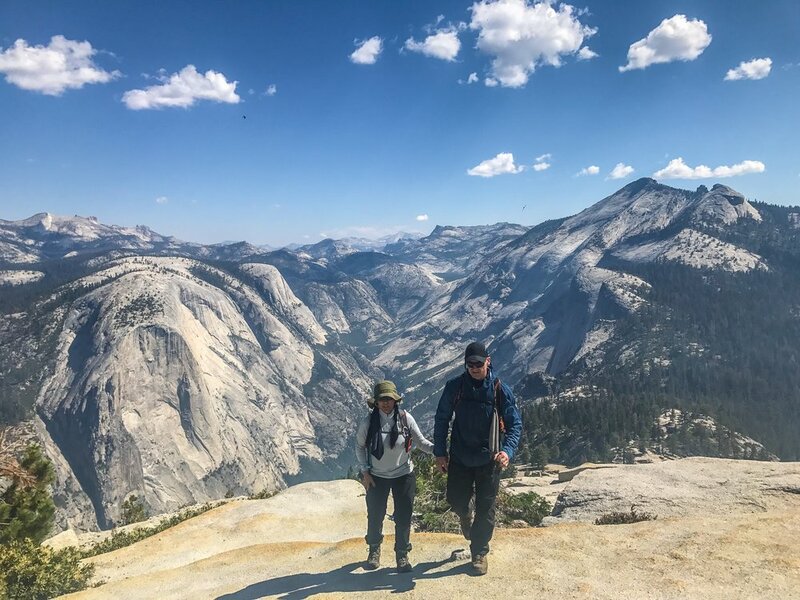 Experience Half Dome with a medically certified and experienced guide who will be there to motivate, encourage and help you every step of way! Use of backpacking gear. Includes: use of backpack, sleeping bag, tent, and insulated sleeping pad. Strenuous. About 30 miles will be covered between the backpacking and Half Dome trekking. Hiking Half Dome isn't a walk through the park... It requires one to be in good shape and the ability to handle the steep uphill climb. We rate our adventures on a 1-5 scale with 1 being the easiest and 5 being the most strenuous. This is a level 5 adventure where we recommend this hike for those who have experienced hiking at higher elevations, have some previous backpacking experience, and have upper and lower body strength. Climbing the Half Dome cables requires a lot of energy and strength. Notice: If you don’t receive a response within 24 hours, check your spam filter/box. Thanks for your inquiry!